That’s why I am encouraging HR to support civility in the workplace every day — and particularly tomorrow, when the results of the midterm elections might be met with gloating, anger, frustration or worse, no matter what side wins. We saw during the last presidential election that politics created divisions in the workplace, making for some uncomfortable and even violent incidents. Incivility hurts work relationships, morale, employee retention and business productivity. On days like tomorrow, workplace leaders must be vigilant about reinforcing their values and expectations. They should monitor discussions and interactions for politically charged exchanges to ensure they do not lead to bullying or threatening behaviors between employees or become a significant burden on business operations. Instead, we need to treat political divisions the same as we do any diversity issue — by building workplace cultures where interactions can take place in a climate of tolerance, acceptance and civility. Part of this is helping employees understand that co-workers can — and do — have other viewpoints that are just as valid as their own. As my mother says, you can disagree without being disagreeable. Tomorrow is a day to emphasize the common purpose we find in our work, whether that’s pride in a product, relationships with clients or service to a community. Whether your candidate wins or loses, I know that the workplace — with a focus on commonly shared goals, values and beliefs that benefit everyone — can support healthy discussions about politics. 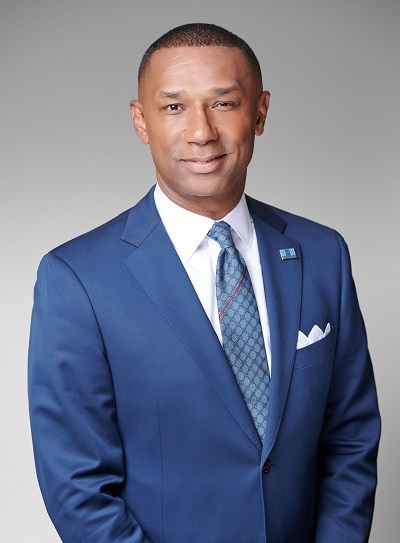 Johnny C. Taylor, Jr., SHRM-SCP is President and Chief Executive Officer of the Society for Human Resource Management (SHRM), the world's largest HR professional society. He previously served a two-year term as Chair of the SHRM Board of Directors in 2005 and 2006.